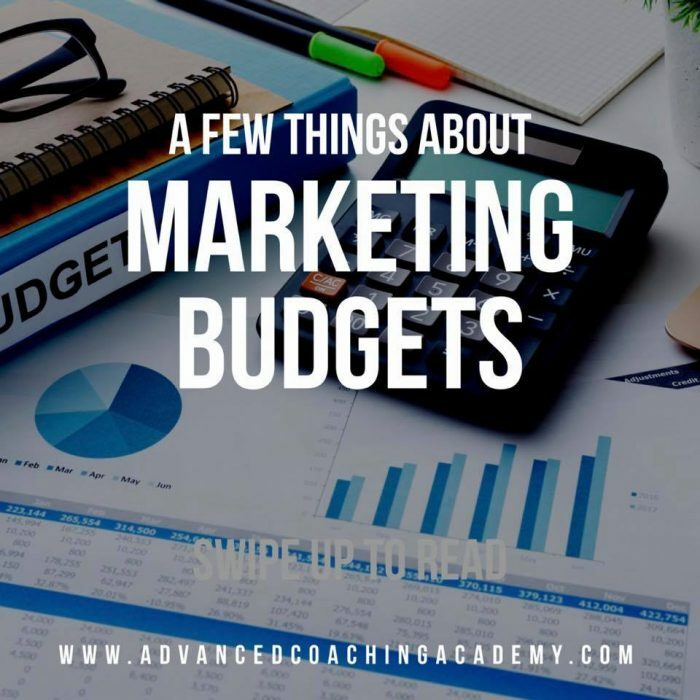 Creating a solid marketing budget ties in with your whole business budget and permits you to allocate a certain amount of that budget towards the acquisition of new or repeat business. By this stage, you should have your revenue organised and collated. Your incomings and outgoings. Without these numbers, you’re guessing and ultimately taking a huge financial risk. Given the financial limitations of operating a stand alone PT business there has to be an entrepreneurial side to what you do. A true entrepreneur will invest money in their business before spending money on items to create the appearance of wealth and success or for short term gratification or reward. They also don’t fear being a little ‘broke’ at times or budgeting in other aspects of their lives in order to look at longer term financial stability and success. An entrepreneur isn’t liberal with time but values moments and seconds in which they can move forward within their business. They don’t understand dead time. An entrepreneur is someone who seizes opportunities, keeps plates spinning and isn’t phased or interested in distractions. They pro-actively remove distractions from their environment.